Copa, Copacabana…What better way to start the day that stroll along Copacabana beach before all the crowds arrive? The glorious crescent of golden sand, fringed by palm trees, is arguably one of the most famous beaches in the world. Stop at one of the many fruit stalls and treat yourself to a healthy acai smoothie (an Amazonian berry packed with antioxidants) for breakfast and take in the view as you stroll along the tiled sidewalk, past the famous Copacabana Palace Hotel. Next, it’s time to head to Rio’s most famous landmark - Christ the Redeemer atop Corcovado Mountain, one of the New Seven Wonders of the World. Either hop on a bus from Copacabana (number 583), jump in one of the city’s official yellow taxis or make your way to one of the nearby subway stations and head to Corcovado Train Station where you can take the little Corcovado train to the top of the mountain. Standing at 30 metres high, the sheer size of the art deco Christ the Redeemer statue never fails to amaze when standing beneath its vast outstretched arms. The views are pretty impressive too; you’ll be able to take in all the sights from Rio’s other famous beach – Ipanema – to the rounded Sugarloaf Mountain and the abundance of favelas clinging to the mountainsides. Make your way to another of Rio’s popular attractions – the idyllic Botanical Garden, one of the greatest in the world. There are over 6,000 species of plant to discover, with one of the highlights being the spectacular avenues of royal palms that measure about 100 feet (30 metres) high. It was founded in 1808 by King John VI of Portugal and was originally intended for the acclimatisation of spices like nutmeg, pepper and cinnamon imported from the West Indies. The garden was opened to the public in 1822, and is now open during daylight hours every day. After your visit have a spot of lunch in Leblon, an exclusive residential neighbourhood where you’ll find some of the best restaurants in all of Rio, concentrated along Dias Ferreira Street, particularly Celeiro. After lunch, enjoy a visit to the neighbouring Ipanema beach, a hub of activity. A perfect people watching spot! Time to get up high once more and take in the views of Rio from the conically-shaped Sugarloaf Mountain. Take the cable car, where you can enjoy 360-degree panoramic views. The trip is divided into two stages:  Praia Vermelha (Red Beach) to Morro da Urca (Urca Hill), at an altitude of 220 metres; then from Morro da Urca to the summit of Sugarloaf Mountain, at an altitude of 528 metres. Reach the top then treat yourself to a refreshing Brahma beer. If you time it correctly, you should be just in time for sunset – the perfect way to enjoy the panoramic views of Rio as the city comes to life and transforms into a sea of twinkling lights. A magical sight. Rio knows how to party, so why not join in? Head to One of the beach-side neighbourhoods, such as Leblon, Copacabana or Ipanema for a bite to eat and a cocktail (or two). Lapa and Gamba are popular nightlife areas too, with plenty of samba, bossa nova, blue and jazz bars to dance the night away in. Also check out who’s playing at the Rio Scenarium, Comuna da Semente or Carioca da Gema, some of the well-known venues. You’ll also find plenty of street kiosks too serving foot-long caipirinhas – the cocktail of Brazil, made with cachaca sugar cane rum (quite like a refreshing mojito, but beware… they’re stronger than you’d think!). Wherever you go, you’re bound to have a good night out – it is not called Brazil’s Party City for nothing! Got any good tips for exploring Rio in a day? Let us know below! 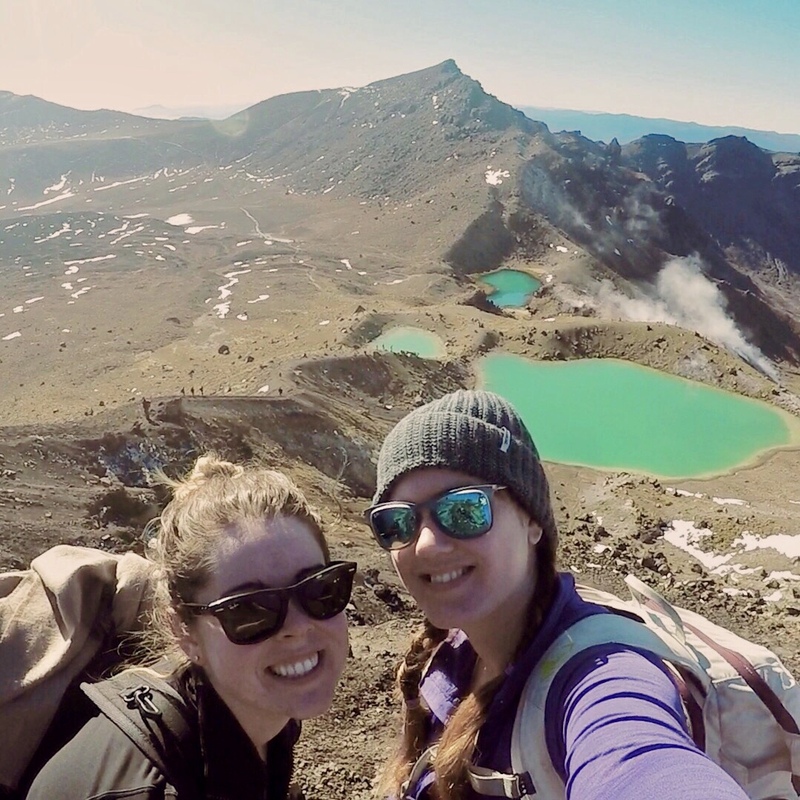 The Two Travelled – a travel blog for adventurers, brought to you by Sarah Gibbons and Nikki Canning. We’re two intrepid, adventure-loving twenty-somethings with an insatiable wanderlust.